Everything was great. The room, the garden, the host, the beach. Run by very nice family. Super super clean. Beautiful gardens and patios. Clothes line to dry beach stuff. Near bus, tavernas, supermarket, beach. Easy to walk (on side of road but ok) to neighboring beaches. My favorite beach was Kolios. Recommend for food Taverna Avila and Jimmys. Very friendly family owners, rooms are basic but have everything you need and very clean. Lovely garden and patio to see the views. It is quite central location across the street from a beach but you need to take a bus anywhere else. 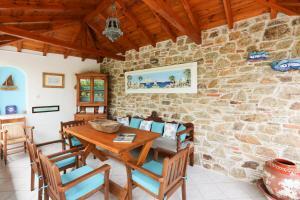 This is a beautiful accommodation and felt traditionally Greek. 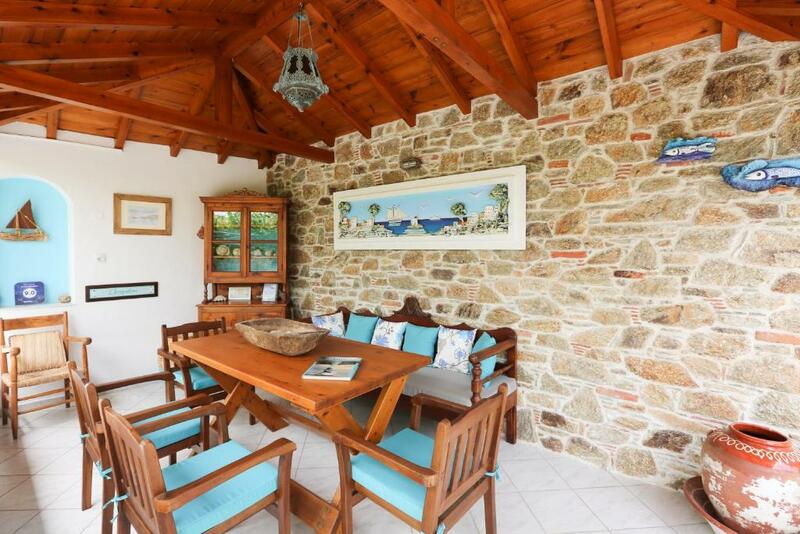 It is in a fabulous location, just two minutes walk from the beach. 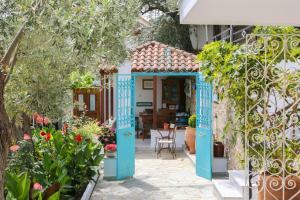 Probably most suitable for couples who want to enjoy the culture and beauty of traditional Skiathos. Simple living. The hosts were so welcoming but don’t speak much English. However that is not an issue. They are very attentive and warm people. A lovely family run business. Most importantly the accommodation is spotlessly clean. Mama Elini and her daughter Katrina clearly take pride in the presentation of the Villa and it’s apartments. In terms of value for money...this place is superb. A little gem. The Host was very very friendly and kind. The studio was very clean, they cleaning everyday. Very good location with nice view. Hospitality was very good and very friendly. All in all i highly recomend it. Location of the property was excellent and it looked exactly like the photos. The property was so quiet and peaceful as there are only 6 studios altogether, feels like you have the whole place to yourself. 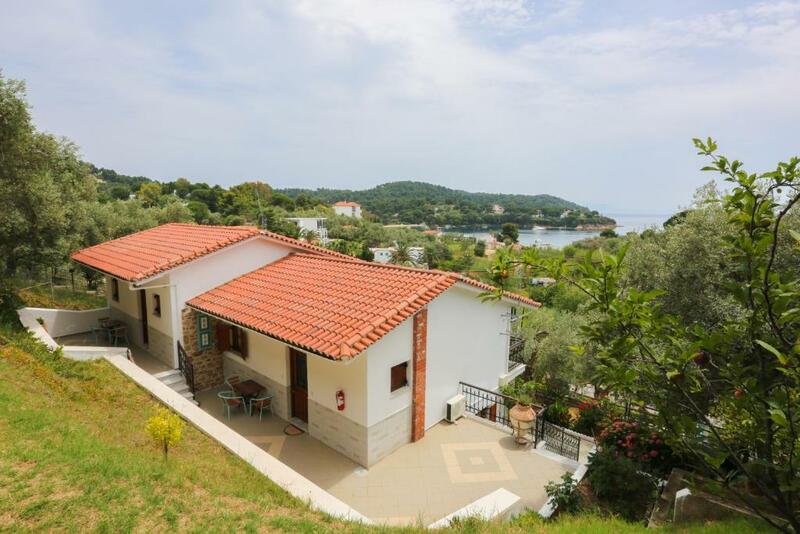 Very close to beach, supermarket, tavernas and bus stop. Don't be put off by the lack of swimming pool, we just popped over to the hotel over the road for a drink and used theirs. 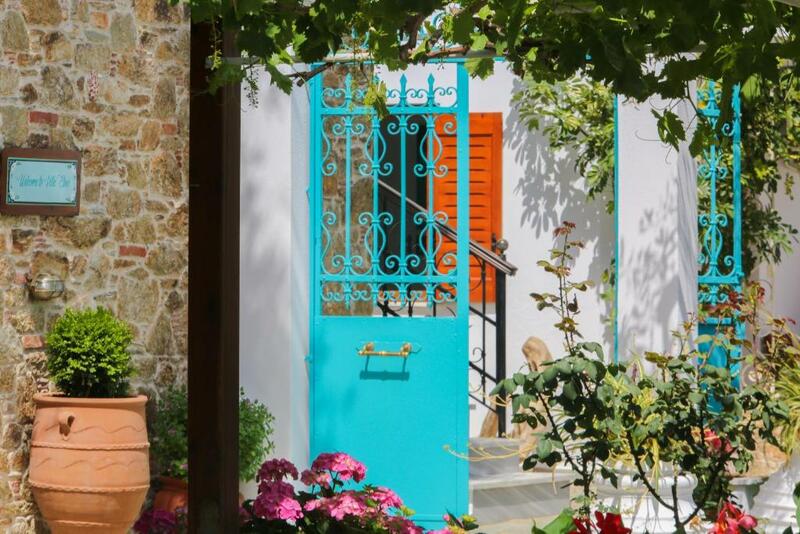 The property itself is lovely, very well equipped and maintained by the friendly family, cleaned and linen changed daily, and surrounded by olive and fruit trees, and a beautiful flower garden especially the roses! 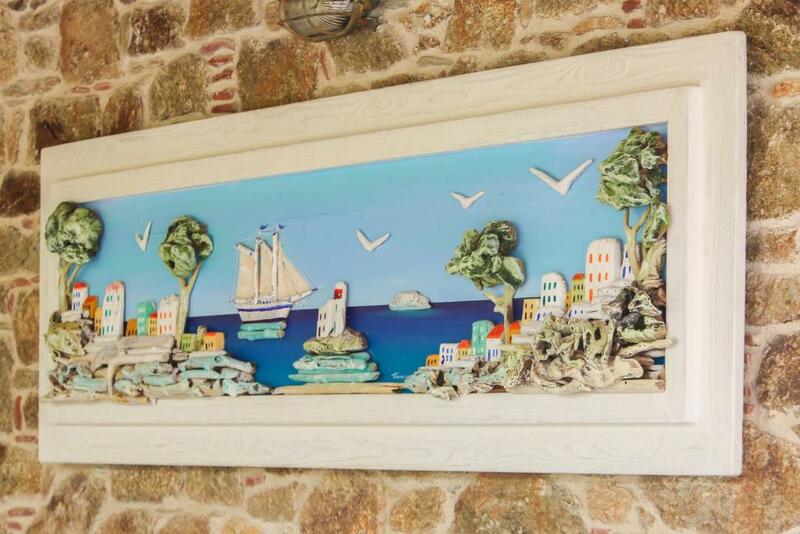 Lovely relaxing surroundings and friendly people - a perfect place for a laid-back holiday! 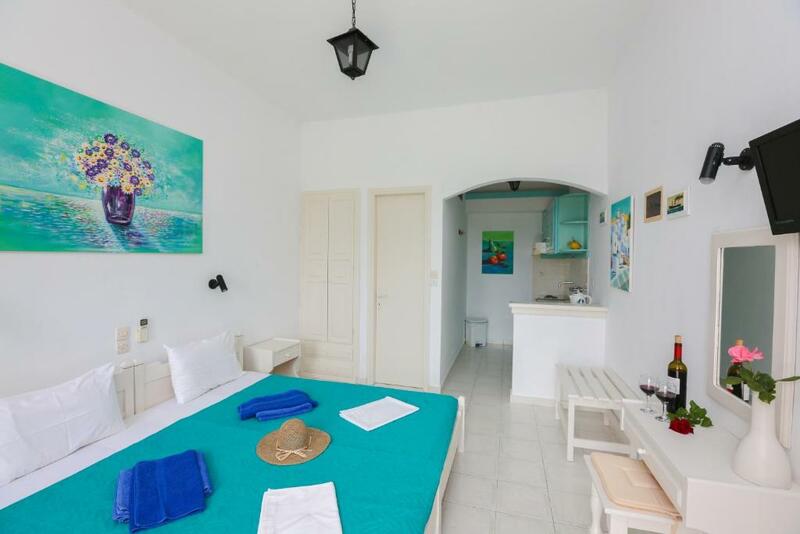 Lock in a great price for Studios Villa Eleni – rated 9.3 by recent guests! Quietly located on a small hill, the traditionally built Studios Villa Eleni is surrounded by lush gardens 350 feet from Agia Paraskevi Beach. It offers air-conditioned studios with private balcony overlooking the Aegean Sea. A kitchenette with cooking facilities and fridge is included in all studios at the family-run Villa Eleni. Each has a flat-screen TV and private bathroom with shower. Guests will find a supermarket, bars and taverns within a 3-minute walk. The famous Koukounaries Beach and Skiathos Town are 3.7 mi away and a bus stops within 350 feet. Free Wi-Fi is available in public areas of the Villa Eleni and free private parking is possible nearby. 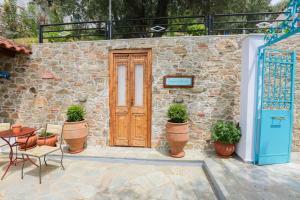 When would you like to stay at Studios Villa Eleni? 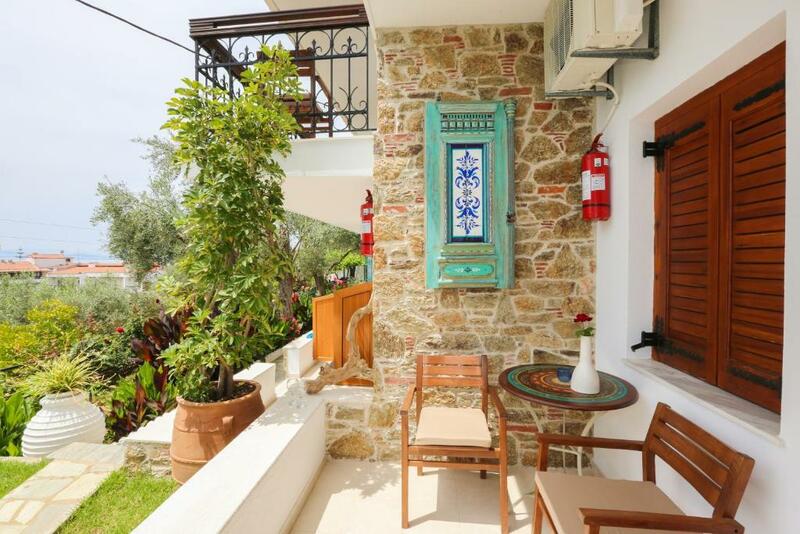 328 feet from the beach, this air-conditioned studio offers private balcony overlooking the Aegean Sea. A kitchenette with cooking facilities and fridge is included. House Rules Studios Villa Eleni takes special requests – add in the next step! Studios Villa Eleni accepts these cards and reserves the right to temporarily hold an amount prior to arrival. May not be suitable for the elderly or disabled who have trouble walking because the enterance is a steep but short driveway. But worth every second of the short walk for the views and the plants and trees are so pretty! Road noise particularly early morning, perhaps proximity to road should be mentioned in description? Very nice garden around. Terrace with sea view.